Help Nancy and her friends solve mysteries through four books in the interactive Nancy Drew chapter book series, now available in a special bind-up edition! 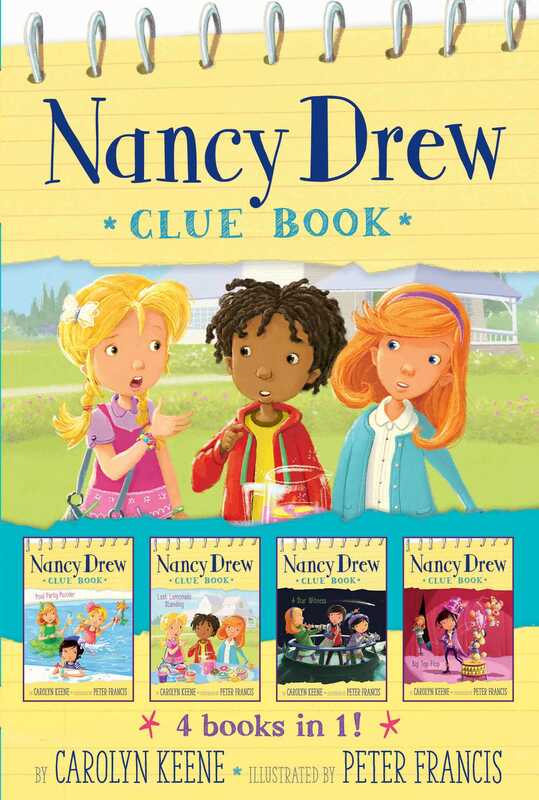 Join Nancy and her friends as they discover who’s causing a major pool party problem, investigate the case of a lost lemonade recipe, find the culprit behind a missing telescope, and track down the clown who switched out a ringmaster’s whistle with in these books from the fun and engaging Nancy Drew Clue Book mystery series! This bind-up edition includes Pool Party Puzzler, Last Lemonade Standing, A Star Witness, and Big Top Flop. Book Cover Image (jpg): Nancy Drew Clue Book 4 books in 1!